I can’t believe New Girl is finally back! I’ve been sporadically watching the show since its late 3rd season (?) and although I lost interest along the way, it’s still a nice and familiar comedy to go back to. I’ve been using it while studying. I need to have background noise and it’s perfect. I was sad when they said they weren’t sure if the show was going to be renewed for a 7th season and to be fair, it would have been a great ending anyway. Nonetheless, I am thrilled they brought it back. Season 7 picks up roughly 3 years after the events in the previous season: Schmidt and Cece have a daughter called Ruth, Winston and Aly got married and she is currently expecting a baby and Nick and Jess have just come back from the european tour for “The Pepperwood’s Chronicles”. I am really excited to see what they are up to, how they have changed and say goodbye to these characters. 8 more episodes of a great comedy. New Girl airs Tuesdays at 9.30/8.30c on Fox. 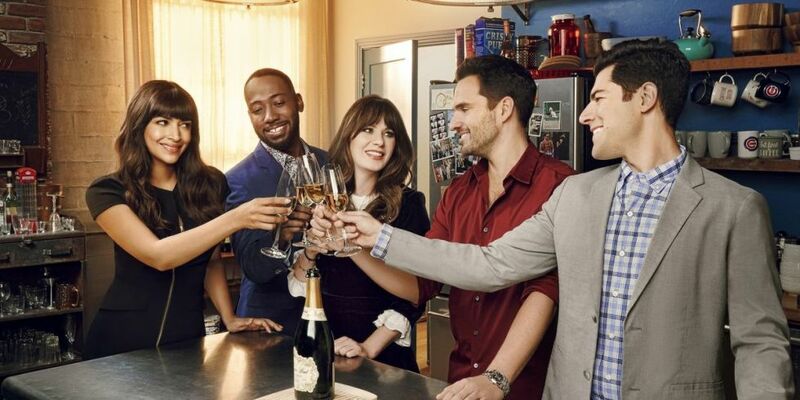 Will you be watching the last season of New Girl? Do you have a favourite episode or a favourite moment? Let me know!